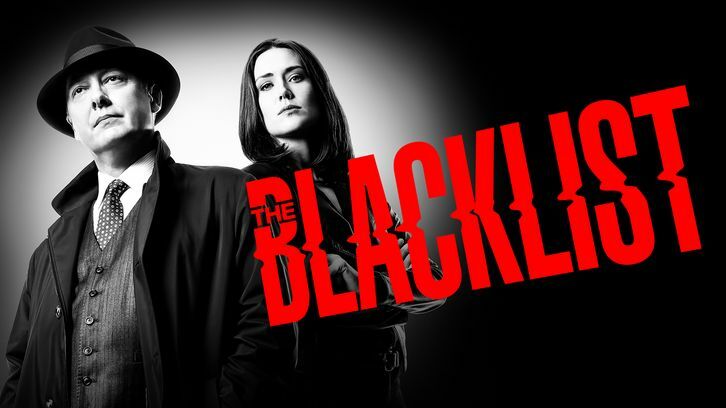 The Blacklist didn't shy away from its main storyline this week, dealing with the consequences of having Raymond Reddington locked up behind bars facing trial. Red did his best to clear his name in the face of the immunity agreement that he's made with the Taskforce under Harold Cooper, but he's not going to have it all his own way. The immunity agreement was only valid as long as Red didn't break any laws whilst under it's protection, and it's clear that he has up to this point basically been operating of his own free will. In case we didn't get it already, the deal with the devil that the Taskforce made is brought up once again here, to show how evil people view Red as who don't know what he's done for the Government. At least he was able to get Harold's testimony on his side, giving him a fighting chance. For a moment I thought Harold was going to cripple his defence completely, but it seems that at least at the beginning of the episode, Red's chances of survival actually look pretty good. He certainly seems confident about it to represent himself in the trial where his lawyer is just there for a quick paycheck and knows that there's no way he can walk free, ordinarily. But the immunity agreement throws a massive spanner in the works and it's one hurdle that the persecutors will have to get around if they want to put Red where they think he belongs. But in the end he does find himself behind bars with no way of getting any form of bail, helped put there by Liz herself, the unregistered gun being his downfall (the unregistered gun that Liz tipped the police off about). His cocky attitude certainly didn't help matters much in the courtroom either, acting as though he was already a free man. But not being cocky has never been Red's style. It feels like the show is firmly dividing the story into #TeamRed vs #TeamLiz at this point and it raises the question, are we going to get our own mini Civil War-esque arc between the Taskforce? In a way, we already have it between Red and Liz. There's enough members to make it interesting. At least in this episode, Harold is very much on the side of #TeamRed, and it was fascinating again to see him bring up past criminals that Red had helped bring down, such as the Attorney General himself, and reaffirm his status as someone who was very much a necessary evil. If you'd do Harold would do it again, would he? His answer is simple. "You're damn right I would." It's a testament to how much Harold's character has changed over the course of the show, when we first met Harold he would have no problems turning over Red. Now, he's not so sure. And many of Taskforce probably share the same feelings as Harold, making it even harder for Liz to gain allies especially as she's going behind their backs. Elizabeth's quest for justice is going to be an interesting one and no doubt she too will have to make the same decision about whether or not the false Red's imprisonment outweighs the benefits of him being active as an informant. It's interesting to see that she has almost morphed into the villain this season, which is a fascinating direction for the show to take. The cat and mouse game that is shaping up between the two characters is entertaining to watch, and you can place your bets about who's going to come out on top now. At the moment it's certainly hard to see Harold caring that much about the fact that Red isn't really Red especially after his passionate defence of him in this episode. So he's one obstacle that Liz will have to cross. The Blacklister of the week is the Pharmacist, who adds to the list of people that have something to do with medicine and health. It was Dr. Hans Koehler in the premiere, and now it's The Pharmacist, and Stark is very much the focus of his particular case. Could Red have one more revelation in him? Could he be sick, and Stark is working on something to cure him? Whatever Stark is working on we never actually find out in this episode, but it's enough for Dembe to confront him at the end and press him on the matter that his current predicament would not be an obstacle for him. As ever, the song choices for this show are on point. Von Grey's Poision in the Water absolutely rocks, and feels very appropriate. But I like Liz as a character here and think her development into what she is now is an exciting one. I just hope she's ready for the storm that is inevitably headed her way when Red learns what she's really up to. Its perhaps interesting to note that this has all the vibes of the set-up for a final season, at least, as it's hard to imagine at this stage the status quo going back to normality after things explode, and are we about to see some major deaths this season? Only time will tell.